Claims that Rudolf Hess was murdered under orders from the British to stop him revealing wartime secrets have been revealed in a police report which has only just seen the light of day after 25 years. According to the documents, a doctor who was treating the NS Party deputy leader supplied Scotland Yard with the names of two British agents who were suspected of the murder, but the force was advised to stop its investigations. The report by Detective Chief Superintendent Howard Jones, which has now been released under the Freedom of Information Act, provides details on the inquiry into surgeon Hugh Thomas’s claims. It was written two years after Hess’s death in 1987 after the force was called in following claims by Mr Thomas that the man sent to Spandau Prison in then-West Berlin was not Hess but an imposter sent by the National Socialists in 1941. Allied authorities said Hess hanged himself with an electrical cord in Spandau jail on August 17, 1987, at the age of 93. 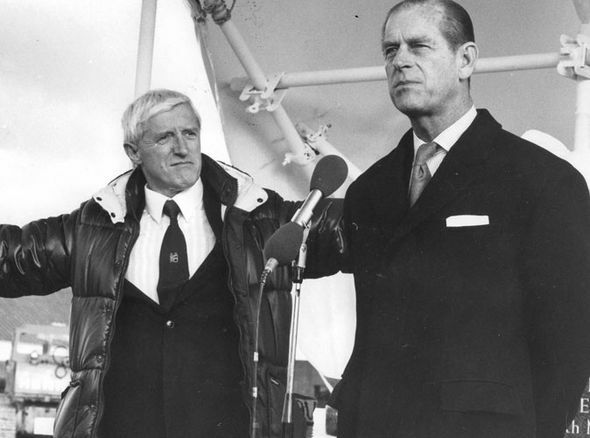 According to The Independent, the Crown Prosecution Service received a copy of the report in 1989. Within six months the Director of Public Prosecutions at the time, Sir Allan Green, advised the investigation should not continue. Hess was an early confidant of Hitler, who dictated much of Mein Kampf to him while imprisoned during the 1920s. He eventually rose to become deputy NS leader, and was captured in 1941 during a solo flight to Scotland on an apparently unauthorised peace mission. At the Nuremberg trials after the war, Hess was found innocent of “war crimes” and “crimes against humanity”, but sentenced to life imprisonment for “crimes against peace and conspiracy to commit crimes against peace”. His appearance in Britain in 1941 has been the subject of much debate over the years. In March last year a declassified report revealed for the first time the stark scene in which Hess was said to have killed himself and his alleged suicide note. But the report of the investigation into Hess’s death, released last year under Freedom of Information, only deepened the mystery surrounding his final moments. There is a tsunami of bogus analysis in the media today on this Royal Hitler-lovers story. All mainstream sources deliberately missing the point (which is, of course, their job). 1933 was only 15 or 16 years after the assassination of the Czar’s family by the Wall-Street-funded Bolshevists in Russia/The Soviet Union. The Czar was a cousin to the British Royals. If the House of Windsor did not understand what was going on at the time, it is certain that by 1933 they had got the message*. The winners of WW1 were clearly the international financial cartel that had mysteriously managed to start the war (we still cannot be sure how they kicked off this otherwise pointless catastrophe). Germany had the Allies on their knees in 1916 then suddenly the USA (up to that point determinedly non-interventionist) had come in on our side while simultaneously Palestine had been promised to the Jewish people. The Zionist project was airborne. Funds and, hence, logistical support dried up for the German army and we know most of the rest. Many of the European old order understood that international finance was now in control and if one wanted to remain alive, even if you were Royalty, the only viable option was to do as they say. Elements in the British and other European aristocracies did not like this one bit. When Hitler took over Germany and created its economic miracle these people, including many of the Czar’s cousins in England, looked to Hitler to restore the old order. International finance won WW2** also. The British Royals and the entire European aristocracy knew very well that their only future lay in making themselves submissive partners to these covert masters of the earth. The truth is something extremely close to the above. 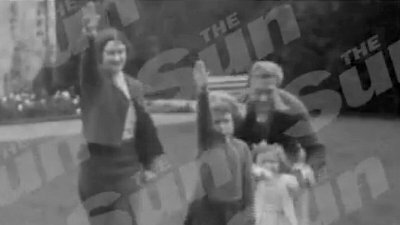 This picture of the Royal Nazi salutes is a very telling freeze-frame-moment from our history. * The Protocols of Zion had been published in the UK 12 years before 1933. Lord Northcliffe, part-owner and writer for The Times and The Observer demanded an investigation into the document. Within months Northcliffe was dead and the POZ declared a ‘forgery’. Douglas Reed who had worked for Northcliffe, met him in Switzerland shortly before he died and described him as a frightened man who had in Northcliffe’s own words “made powerful enemies”. Hitler, Stalin, Mao and the unlikely connections they had to the Rothschilds and British Royal Family are explored in a mind bending interview with Greg Hallett. WWII and the rearrangement of global power in the 20th century, the Royal Almanac of Gotha, and the continuing conspiracy of power and bloodlines through the modern day is illuminated. Fake heirs and body doubles–from Bin Laden and Saddam Hussein, to Prince William and Prince Harry are revealed, plus the future technology being used now to keep the masses oppressed is laid out in this uncensored Buzzsaw interview, hosted by Sean Stone.